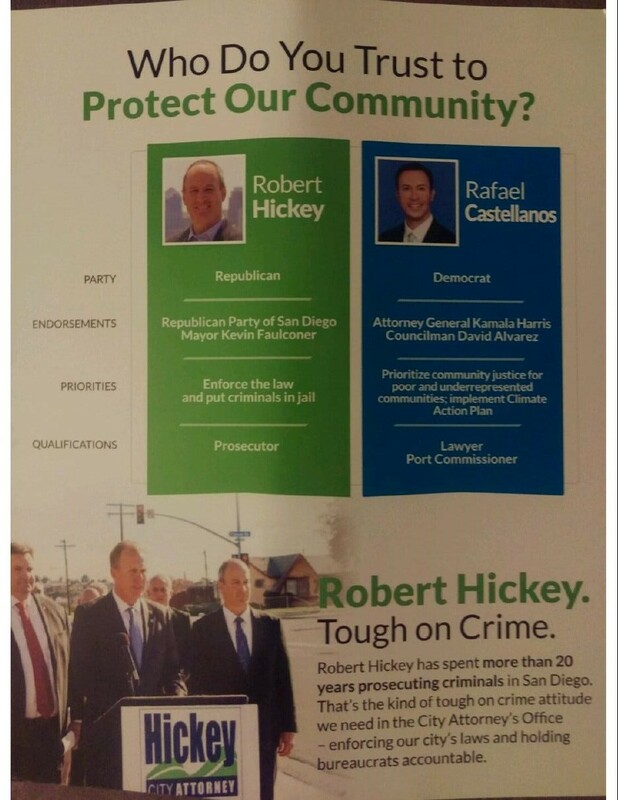 This propaganda piece was created by Citizens for a Safe San Diego supporting Bob Hickey for City Attorney 2016, sponsored by Lincoln Club of San Diego, William D. Lynch Company, in favor of Robert Hickey in the San Diego City Attorney Race (2016) election. 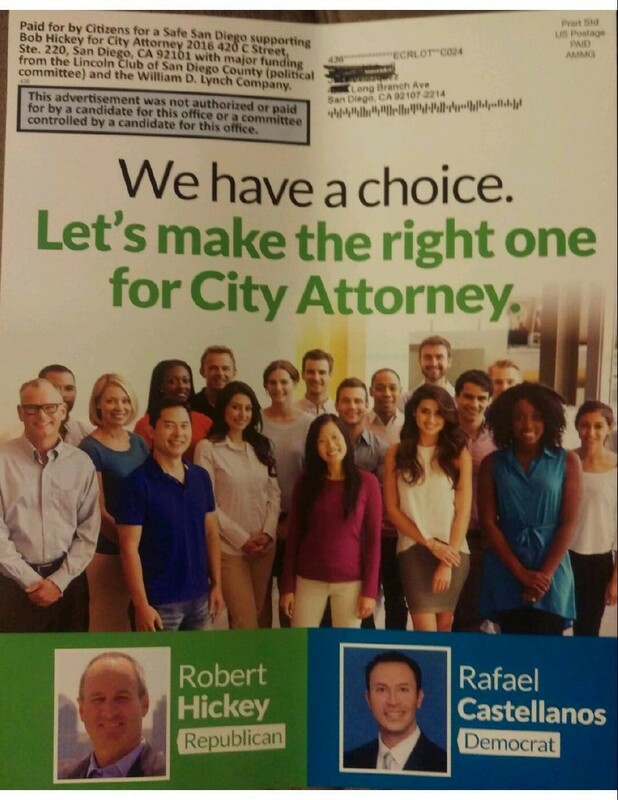 Received by voter on 05/17/2016 via mail. This entry was posted in Literature Piece on May 17, 2016 by administrator.